Sony Pictures is ushering in a new week of fresh horrors with an official trailer to get your heart pumping and sweat glands working overtime. The New Life Trailers Are Eerie, Claustrophobic, and…Crunchy? Two new trailers for the upcoming science fiction film, Life, have dropped, and they feel familiar in some of the best ways. With the tagline, "We were better off alone," the trailers showcase the claustrophobia of a space station and the surprisingly crunchy horror of the film's parasitic aliens. We Know We’re Alive, but Do We Even Know What That Means? "Life." I do not think it means what you think it means. Hey, want to know the meaning of life? Oh, whoops. I'm sorry. I meant scientifically, not philosophically. You're on your own there. It's basically the Drake Equation with more variables. 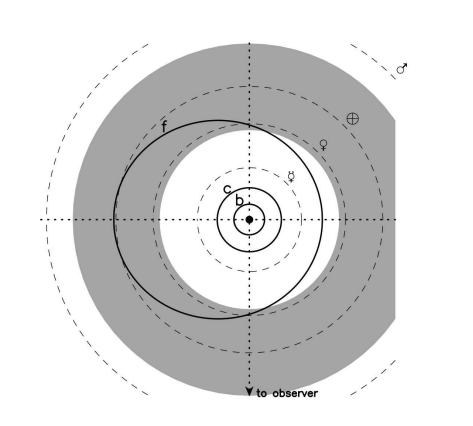 In 1961 Frank Drake set out his formula for estimating the number of intelligent civilizations in our galaxy. A new study from the University of Texas at El Paso looks to improve on Drake's estimate by studying data from more than 1,000 exoplanets for a number of factors, and the number they came up with is enormous. At least they're not death stars. Move over sun, there may be a bigger star to steal the spotlight. Recent studies suggest that hotter and brighter stars are capable of providing the right conditions to form life. In the movie version of this, MossMan comes back to life Encino Man-style. While some scientists are talking about bringing back the Wooly Mammoth, others are already reviving centuries-old plant life. Teams from the British Antarctic Survey and Reading University have thawed and revived moss that has been frozen for the past 1,500 years. Somehow, this leads to MossMan being real, right? What life? Let's just hope it's not those water monsters from "The Waters of Mars." Here on Earth, we pretty much expect our water to be drinkable, but it's a pretty amazing find on Mars. 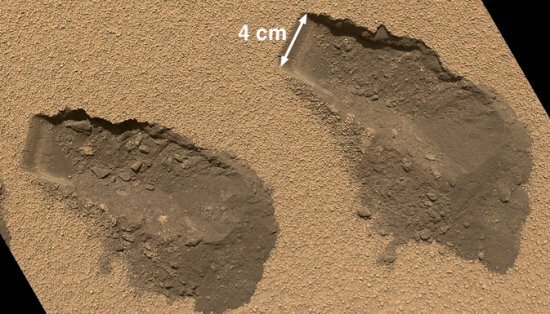 Scientists reported earlier this year that the Curiosity Rover found signs of an ancient lake on Mars, but they're just now finding out that the lake's water may have been basically drinkable by human standards and hospitable to life. Sometimes meteorites hitting the Earth is bad. Other times it causes all life on Earth to be possible. Objects from space crashing into the Earth is generally considered pretty terrible. 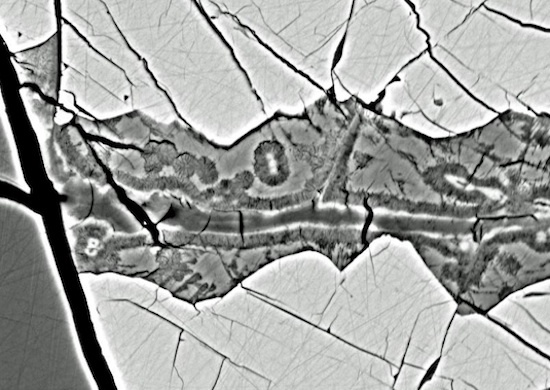 We'd like to keep it from happening in the future, but it turns out that a meteorite that struck the Earth billions of years ago is what's responsible for all life on our planet. At least that's the latest theory from University of South Florida Assistant Professor of Geology Matthew Pasek. 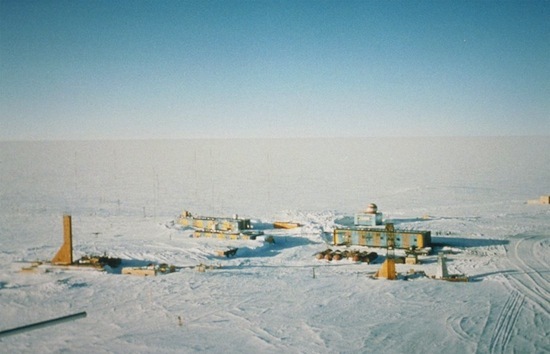 Russian researchers working on samples from Lake Vostok -- a subglacial lake in Antarctica sealed away for eons by more than two miles of ice -- say they have found signs of a wholly new kind of bacterial life in water samples taken from the lake. It's a pretty impressive claim, if true, and one could quiet concerns raised late last year the lake may have been entirely devoid of life -- not to mention meaning new chapters in microbiology textbooks. Now we just have to wait and see if this bold announcement holds water. 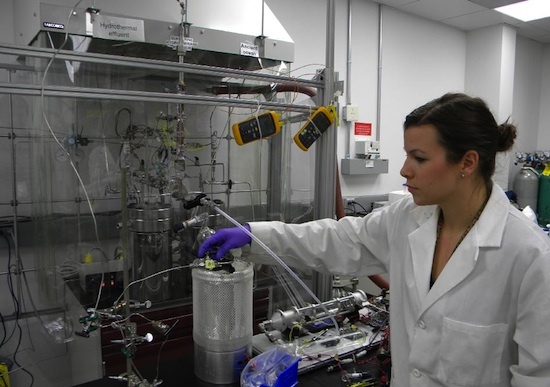 We're not going to lie -- sometimes, it occurs to us that we only ever wanted to be scientists because of all the neat toys they get to play with. That probably has something to do with why we didn't end up becoming scientists. Well, that and our inability to perform any but the most basic mathematical operations. We do still want to play with researcher's toys, though -- especially things like this gizmo at NASA's Jet Propulsion Laboratory (JPL) that simulates the hot, high-pressure conditions found in undersea hydrothermal vents in an effort to find out if those vents could have acted as incubators for the amino acids that many think were the first crude steps toward life on Earth. While the Curiosity rover and its newly remembered sibling Opportunity scan the surface of Mars for life and other oddities, it's up to scientists back here on Earth to determine if life is even possible in the Martian climate. New research by NASA announced at the American Geophysical Union's conference implies that it could be possible for Mars to sustain life. 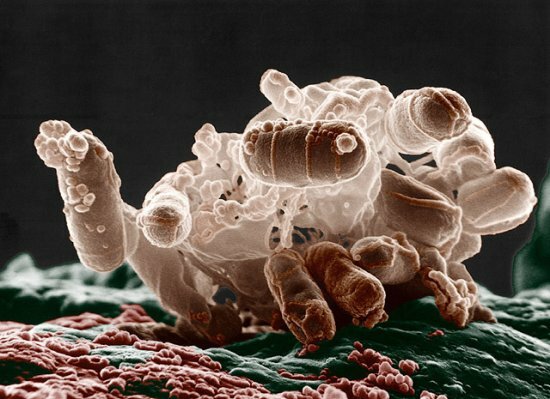 Scientists at NASA's Goddard Spaceflight Center have seen bacteria live in simulated conditions similar to those on the surface of Mars. 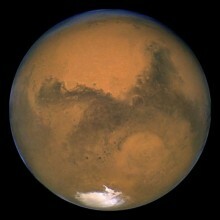 This could give scientists a better idea of where to look for life on Mars. The press conference NASA held today about what the Curiosity Rover found on the surface of Mars is over, and although NASA scientists explained that they have not yet found organic compounds, they admit that they have seen organic compounds. Wait, what? This paradoxical discovery comes along with others, including the presence of chlorine and sulfur, but we're more interested in the these organic compounds. Are they there or not? It's no news that the surface of Mars was once home to water, but scientists may have just found more evidence that that same water could have once been teeming with living creatures -- or at least supported enough of them to prove we're not alone in the universe. 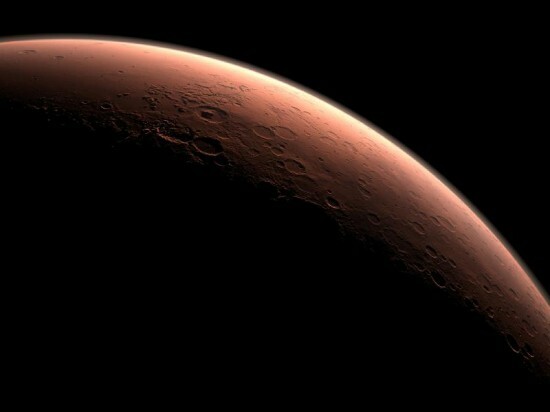 Researchers from The Open University and the University of Leicester have found evidence in meteorites from Mars that the water on the Red Planet may once have been warm enough to support life. The map for seeking out life elsewhere in the cosmos may have just gotten a new must-have accessory. 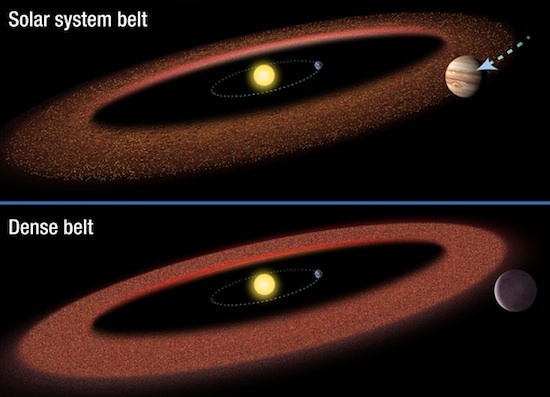 A new study from NASA suggests that having an asteroid belt like our own solar system's could be a key ingredient in the development of extraterrestrial life. The above picture may not look like much, but it could be a huge deal. 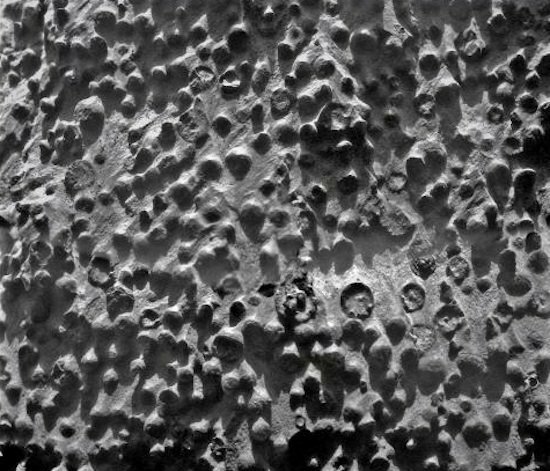 The photograph, taken by the Opportunity Rover at Mars' Cape York site, shows iron spherules that researchers commonly refer to as "blueberries." Similar formations are found here on Earth. The catch is that, here, they are formed with help from microbial organisms, suggesting that these unassuming iron marbles could be a telltale sign of ancient life on the red planet. When applying to jobs, you'll generally give a quote of what you think your services are worth. However, when you're all used up from a lifetime of that job, someone else may pay good money for you. Not your services, mind you, but the less used up parts of your body. You know, like your liver or coronary artery. 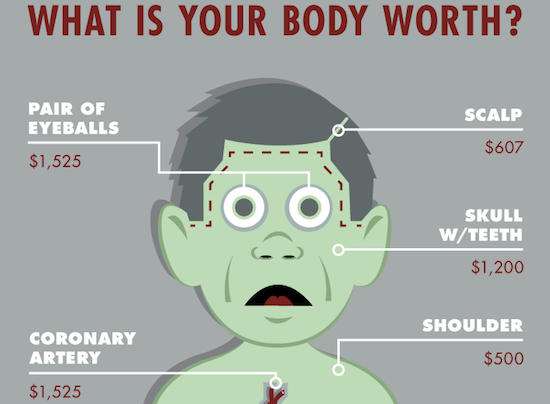 The black market is something you probably don't want to ever become involved with, but now if you do and also happen to read this infographic provided by Medical Transcription, you'll know around how much your shoulder is worth. An international team of scientists and mathematicians have concluded that new analysis of data from 36 years ago shows that NASA found life on Mars. But don't get too excited. The dreams of a life-sustaining Mars have mostly died away, with recent study focusing on whether or not Mars could have supported life at one point. However, a new study shows that while the surface of the red planet might be barren, the conditions under the Martian surface could support life in some form. If the work is correct, it suggests that huge areas of the planet might be more life-sustaining than originally thought. The search for an Earth-like planet (an ExoEarth) with the characteristics necessary to support life has captured the minds and imaginations of scientists and the public alike. Researchers have already discovered several possibles, but a new planet has been discovered that, in addition to being likely to support life, also orbits two distinct stars. Named 55 Cancri f, the newly discovered planet is one of five that orbits an orange dwarf star and a red dwarf star approximately 40 light years away from Earth, in the constellation Cancer. The research to study the planet was led by Kaspar von Braun from the California Institute of Technology. By measuring the planet's orbit, the researchers were able to confirm that it is a candidate to support liquid water, the basis for life like ours on any planet. How Many Ways Did NBC’s Life Offend Gamers? There's a show on NBC called Life, which is--what most shows seem to be nowadays--a procedural cop drama. It's about an "offbeat, complex" detective who was wrongly imprisoned and has returned to the force after being given a second chance. I bet he doesn't even play by the rules. The point is, there was an episode of the show entitled "A Civil War," in which the detective team investigates a hate crime, which turns out to be because of drug dealings. One of the drug dealers happened to hack into Prince of Persia: The Two Thrones in order to hide a paper trail of his drug dealings therein. The previous sentence is pretty ridiculous, but not more ridiculous than the actual scene it describes. There are a multitude of offensive and incorrect things plaguing the scene, showing that either no one related to the production of the episode had even the slightest clue when it came to video game anything, or the people who had a clue didn't have enough power to get the point across. What's wrong with the scene, you ask? Allow us to explain.